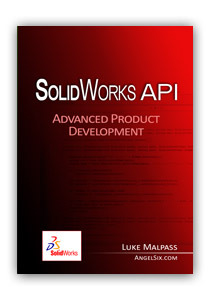 SolidWorks World 2014 Proceedings are available now! I hope every enjoyed their time at SolidWorks World 2014 at the San Diego Convention Center, San Diego, CA. It was great to be a part of the event and meet lot of people. This year also there were lot of interesting presentations and hands on sessions were conducted by various professionals including SolidWorks employees, SolidWorks Users and SolidWorks VARs. And like everyone, I was also waiting for them to get these presentation and videos upload for access to everyone. So the wait is over now and the SolidWorks World 2014 proceedings site is now available. 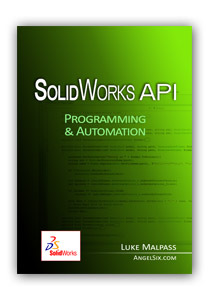 Visit http://www.solidworks.com/sww/proceedings/ to acceess the proceedings information. Be sure to take full advantage of this year’s proceedings site. Watch breakout session videos, download breakout session PowerPoints and check out photos from this year’s event. Also, view the 2014 highlights video and videos from general session each day. Hope to see you at SolidWorks World 2015 in San Diego, CA! This entry was posted in Animation, Assembly, Certification, DraftSight, Drawing, Edrawings, Let's Go Design, Macro, My.SolidWorks, News, Part, PhotoView 360, Sheet Metal, Sketch, Solidworks, Surfacing, SW2007, SW2009, SW2010, SW2011, SW2012, SW2013, SW2014, SWW, SWW14, Tips n Trick, ToolBox, Training, Weldment, What's New and tagged Conference, CSWA, CSWE, CSWP, Day 1, Day 2, Day 3, Discount, Event, General Session, Ideas, PartynFun, Presentations, San Diego, san diego california, san diego convention center, SolidWorks World, SolidWorks World 2014, SWW, SWW14, SWW2014 on March 16, 2014 by Deepak Gupta. We were at the final day of SolidWorks World 2014. The day I believe everyone waits for to see and know the SolidWorks World Top Ten list, the new features coming up in next version of SolidWorks. On the stage was Mark Schneider, Produt Introduction Manager with his model mania contest. A contest that marked 15 years. This contest is about modelling some stuff in SolidWorks and users compete against users. The one to finish it in lesser time wins the game and prizes from NVIDIA. Avelino Rochino and Michael Puckett were up on stage sharing the the great news of increasing numbers of SolidWorks Certified users. They also introduced the new certification exams coming up soon. Marie Planchard talked to Max Lizarraga and Jerry Miranda on how CSWA certificate along with SolidWorks training have been helping their student in getting a better job. She also shared with us the increase in use of SolidWorks education sector. Bruce Holway, Director Product Definition, revealed the list of Top Ten Ideas voted for SolidWorks World 2014. Finally what everyone loves to see at day 3 of SolidWorks World, the comic presentation by the technical marketing team of new features coming up in next release of SoldiWorks. This year it was “Cadman,” taking us back to old Batman TV show. Gordon, the CAD Manager called up Cadman and his assistant Ribbon to help catch “The Marker (the villein who screwed their CAD files)”. The show was full of entertainment. I can’t wait to try my hands on the SolidWorks 2015 but yes we would have to wait till beta program. Another great SolidWorks World was coming to end and this could not be possible without its sponsors. A big thanks to all the sponsors. And finally came the big news of next SolidWorks World 2015. It was great to meet you all at SolidWorks World 2014 and hope to see you all back at SolidWorks World 2015 next year. This entry was posted in Events, General, Let's Go Design, My.SolidWorks, News, Solidworks, SWW, SWW14, What's New and tagged Conference, CSWA, CSWE, CSWP, Day 3, Discount, Event, General Session, Ideas, PartynFun, Presentations, San Diego, san diego california, san diego convention center, SolidWorks World, SolidWorks World 2014, SWW, SWW14, SWW2014 on March 16, 2014 by Deepak Gupta. Had a a great time at for the CSWE event at Petco Park last night (Thanks SolidWorks Certification team for putting that together). We were back in front of big stage for getting amazed about great customer stories and how they are inspiring the world. The day 2 is also about the SWUGN and its family members all around the world. We were greeted with a big Mechanical spider. The buzz from last day was still in the air. Suchit Jain, Vice President of Strategy and Community SolidWorks introduced Jonathan Tippett with from eatART Foundation “There is no ART without energy”. Jonathan discuss about the various mechanical creation of his organization ; Mondo Spider, Daisy, Black Ghost Electric Bike Car, Titanoboa and many other amazing creations. It was really cool when Jonathan comment on SWMC that it is like “Google Docs for CAD”. Aaron Kelly talked about the SolidWorks 2014 BETA program which had amazing number 17,000 users and announced the winners in each category for over $1,500 worth of prizes. Richard Doyle, User Community Coordinator for SolidWorks Corporation, shared about the SolidWorks User Group community which have User Groups in over 29 countries around the world. Later he announced the awards for year 2014. User Group of the Year: The San Diego SolidWorks User group lead by Phil Sluder and Jim Boland. User Group Leader of the year: Jeff Holliday. And luckily I got the Michelle Pillars Community Award. It is really an honor to receive this award. Rapid Prototyping, Digital Manufacturing, 3d printing have given a new boost and engery to industry these days and there are many industry sectors where 3d printing is a part of process and it is further dominating the world. If you’ve done 3d printing ever OR even heard about it, then there was a amazing technology shown to us at SWW2014. Paolo Bassi, Vice President of Research and Development introduced us to SolidWorks customer Greg Mark, co-founder of a company called Mark Forg3D . They have created the world’s first 3D printer designed to print composite materials and print carbon fiber. Isn’t it amazing. To conclude the general session day 2 at SolidWorks World 2014, Bertrand Sicot introduced to us two great guys; Geoff Bodine, of Nascar fame and Bob Cuneo, to discuss the Bo-Dyn Bobsled project. The project was designing a Bobsled to help US team to win Gold in Soxhi Olympics. It was great to hear from them about the amazing story of doing trial and errors for designing the product and how SolidWorks and 3d printing technology helped them in overcoming some of the issues. Bertrand also shared his ride in the bobsled. Day 2 at SolidWorks can’t be completed without the special event . This year the special event was held at Embarcadero Marina Park; with amazing food, cool graffiti artist, a great live music and Trapeze (there was long queue till the show ended). This was a well spent evening with friends from all over the world. Finally the amazing firework to mark the day. This entry was posted in Events, General, Let's Go Design, My.SolidWorks, News, Solidworks, SWW, SWW14, What's New and tagged Conference, CSWA, CSWE, CSWP, Day 1, Discount, Event, General Session, Ideas, PartynFun, Presentations, San Diego, san diego california, san diego convention center, SolidWorks World, SolidWorks World 2014, SWW, SWW14, SWW2014 on March 16, 2014 by Deepak Gupta. Meeting old friends is the best time and I believe SolidWorks World is all about that. The SolidWorks World 2014 was no exception at all. Started my day meeting old friends from all over the world and San Diego treated me very well. 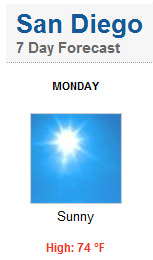 Nice weather throughout the week. The General Session Day 1 started with buzz that what would be there up on the stage. This year at SolidWorks World marked the highest number of attendees which is 5600 and to add to that there are more than 2.3 million SolidWorks users worldwide and the number is still getting up. The CEO of SolidWorks, Bertrand Sicot welcomed us to SolidWorks World 2014 and kicked off the show quickly by introducing us to a young man named Boyan Slat who has a really interesting project called “The Ocean Cleanup.” SolidWorks launched a contest to help his team in this great cause. The winner was Dr. Amir Sadjadpour. An quick overview of industry leaders where SolidWorks is used was shown and Forbes listed Dassault Systèmes at #3 most iinovative company. Right after that there was announcements about other new products that will be coming soon to SoldiWorks community; SolidWorks Inspection for Inspection and SolidWorks Mechanical Industrial for collaborative industrial design (more on it later). Announcement and showcase of Home.By.Me was kind cool. Home.By.Me is an online 3D space planning service to Imagine, Design and Share 3D housing projects. With HomeByMe, create your entire home in 3D and experiment with thousands of products and textures before sharing your projects with friends and experts. This was preceded with detailed demonstration of of SolidWorks Mechanical Conceptual. This product will be available from April 2nd, 2014. There was “LightHouse” program for this tool and we had the privilege to hear from SolidWorks Mechanical Conceptual “Lighthouse” Customers who shared their experiences about this nice looking tool. Finally we were honored to have Dr. Hugh Herr on the big stage. Dr. Herr is an engineer, biophysicist and rock climber who lost both his legs in a rock climbing accident in New Hampshire’s Mount Washington in 1982. He is the head of Biomechatronics Research at MIT’s Media Lab. The MIT group team is engaged in creating bionic limbs and to give an example Dr. Herr himself is wearing them in both the legs. He showed the world that “There are no limits“. It was really a great story of someone who took something most people would see as a liability and turned it into an asset. A big salute to him. SolidWorks World 2014 will be held January 26-29, 2014 at the San Diego Convention Center in San Diego, California. If you talk about SolidWorks on your blog, or you’re a Twitter user attending the SolidWorks World 2014 (and you’re at least 21), then join Mathew West along with other fellow SolidWorks Bloggers at 6th annual SolidWorks World Tweetup / blogger social meet at SolidWorks World 2014 on Sunday, January 26th, 2014. This entry was posted in Solidworks and tagged Conference, CSWA, CSWE, CSWP, Discount, Event, Ideas, PartynFun, Presentations, San Diego, san diego california, san diego convention center, SolidWorks World, SolidWorks World 2014, SWW, SWW14, SWW2014, TweetUp on January 12, 2014 by Deepak Gupta.